Was my Grandfather a Nazi? 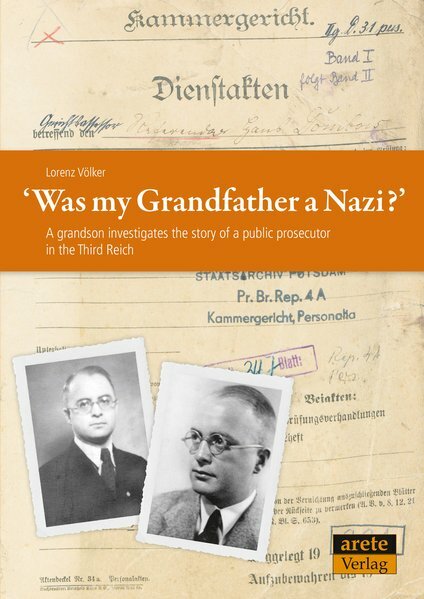 Völker, Lorenz Was my Grandfather a Nazi? In the beginning, there is a chance discovery: the author comes across some personal papers left by his grandfather, whom he was close to and who recently passed away. Now the grandson embarks on a journey of discovery that will take several years in order to uncover the truth – in his family and historically. On the way, he finds many helpers who provide missing pieces in the puzzle and encounters witnesses and descendants. And so, gradually, the contours of his grandfather’s life and thus also of the Third Reich’s legal history become visible. In the end, there is reconciliation, as the author manages to bring the families of ‘perpetrator’ and Jewish ‘victim’ together. A moving and also encouraging exploration of German-Jewish history during National Socialism.